This is a fun game for kids. This is a must buy for those wishing to teach their children in a funfilled and playful mood. It is developing your childs imagination, coordination, visual and mnemonic skills through fun. 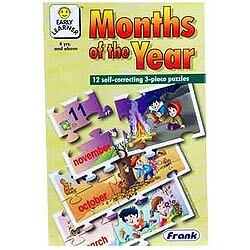 This is an attractive puzzle that introduces the children different months in a year.